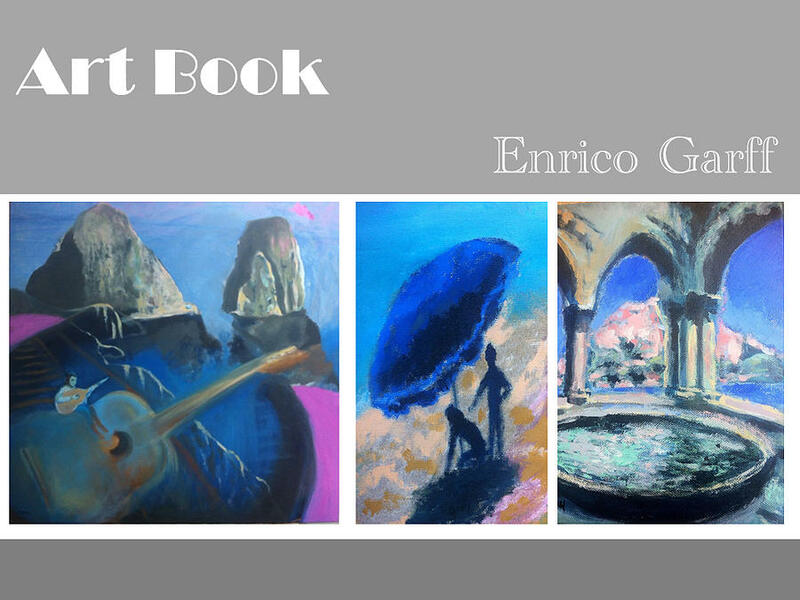 Oil paintings featuring capri, the faraglioni rocks, a guitar. Su bathers on a shore. A closter with capri island in the background.